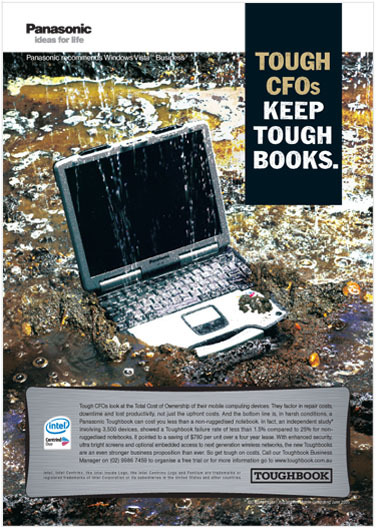 The three latest versions of this year�s Toughbook campaign. See earlier versions under Print section. The copy expands on a �total cot of ownership� argument which justifies the product�s high initial cost.